... Competency. No Criminal Record. Valid Driver’s Licence. Able to excel in fitness and shooting evaluations. South African Citizen. Recommendations: Previous Experience an advantage ...SALARY AND BENEFITS WILL BE DISCUSSED UPON INTERVIEW. 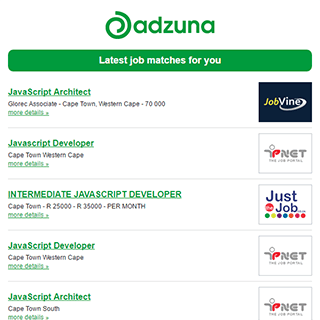 The Adzuna recency index score for this search is 1.17, suggesting that demand for Driver job opportunities in Stellenbosch is increasing. The largest category under which open Driver jobs are listed is Accounting & Finance Jobs, followed by IT Jobs. Get the latest Driver Jobs in Stellenbosch delivered straight to your inbox!